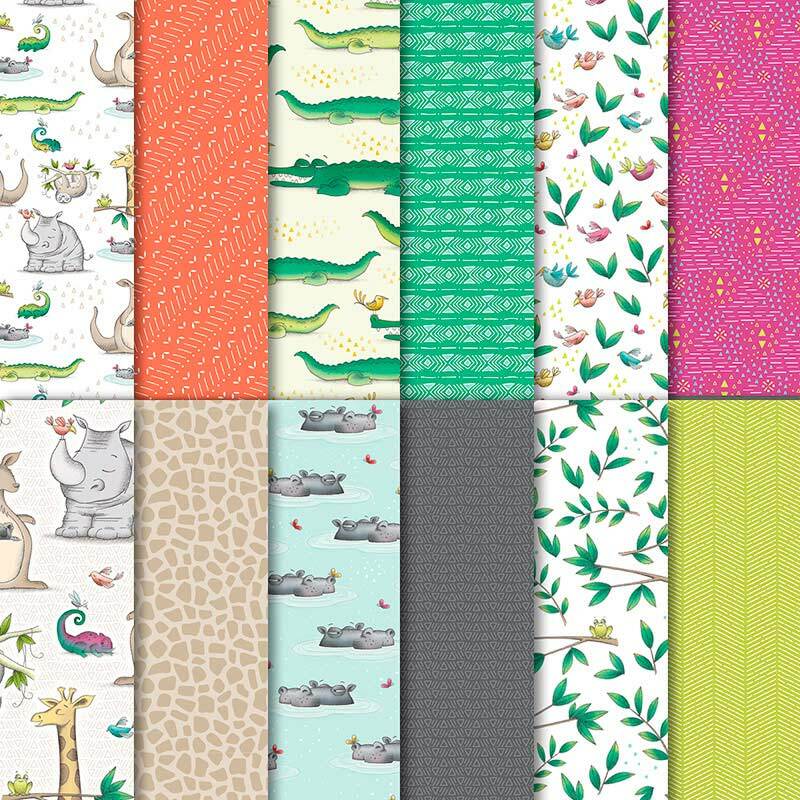 There are so many great Designer Series Papers in the Annual Catalogue to chose from, but there is something very special about the two designer series papers I chose for my project today: Tropical Escape DSP and Animal Expedition DSP. Can you guess what is so special about these DSP papers by looking at my card? Both of these papers have images that are designed to be cut out with Stampin’ Up! dies from their coordinating stamp set and die bundles! How cool is that!!!!! This makes card making so very quick and easy, and it ensures everything coordinates perfectly. And speaking of coordinating, even though there are different greens used in each of these DSPs they all look amazing together in a jungle/bush setting, so don’t forget when you’re card making that you can mix and match different DSP’s together! I made this animal card for a very special person…my niece, who turned two a few weeks ago. She’s been overseas with her family for a few months, but they finally return this weekend and we are having a get together at my place to celebrate all of the July birthdays in our family. I’m wasn’t really sure what to call this card when I began to make it. Is it an Australian bush card because of the kangaroo? Or is it an African jungle card because of the giraffe, the sloth and the hippo? And is it a crocodile or an alligator? But then I had a brainwave. I’m calling it my Taronga Zoo card because this is where all of these animals are found together…and it’s also one of my niece’s favourite places to visit! This card was inspired by a card I saw on Pinterest that was designed by a Tasmanian Stampin’ Up! demonstrator called Bronwyn Eastley. I bought her awesome tutorial to get the measurements and understand the mechanics of this card but I’ve adapted her original design to suit the DSP papers I wanted to use. For the base of the card I used Old Olive cardstock, and then I covered all of the panels with the gorgeous Shaded Spruce and Granny Apple Green leaf patterned paper from Tropical Chic. The greens in the DSP across the top of the card that features the frogs on the branches are Call Me Clover and Lemon Lime Twist, and the gorgeous leaf ribbon (how cute is this ribbon!!!!) is also Call Me Clover. Once I’d constructed the base of this card and added the panels of DSP, I went crazy with my bigshot and started cutting out animals from the Animal Expedition DSP, leaves from the Tropical Escape DSP, and extra leaves from coordinating cardstock and just kept layering until my Taronga zoo card was full of leaves and animals. I had to fussy cut the sloth on his branch and the crocodile, but all of the other animals had their own die, which made this card super easy to make. This card folds down to fit into a standard card sized envelope, and I can’t wait to see the look on my niece’s face when she pulls the card out of the envelope and realises it opens up to create a 3-D zoo scene!